Identifying climatic drivers of an animal population’s vital rates and locating where they operate steers conservation efforts to optimize species recovery. 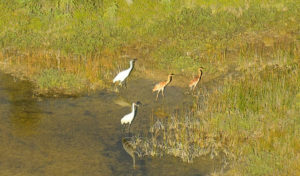 The population growth of endangered whooping cranes (Grus americana) hinges on juvenile recruitment. Therefore, we identify climatic drivers (solar activity [sunspots] and weather) of whooping crane recruitment throughout the species’ life cycle (breeding, migration, wintering). Our method uses a repeated cross-validated absolute shrinkage and selection operator approach to identify drivers of recruitment. We model effects of climate change on those drivers to predict whooping crane population growth given alternative scenarios of climate change and solar activity. Years with fewer sunspots indicated greater recruitment. Increased precipitation during autumn migration signified less recruitment. On the breeding grounds, fewer days below freezing during winter and more precipitation during breeding suggested less recruitment. 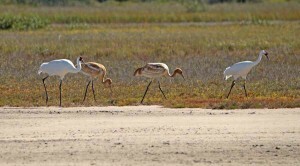 We predicted whooping crane recruitment and population growth may fall below long-term averages during all solar cycles when atmospheric CO2 concentration increases, as expected, to 500 ppm by 2050. Species recovery during a typical solar cycle with 500 ppm may require eight times longer than conditions without climate change and the chance of population decline increases to 31%. 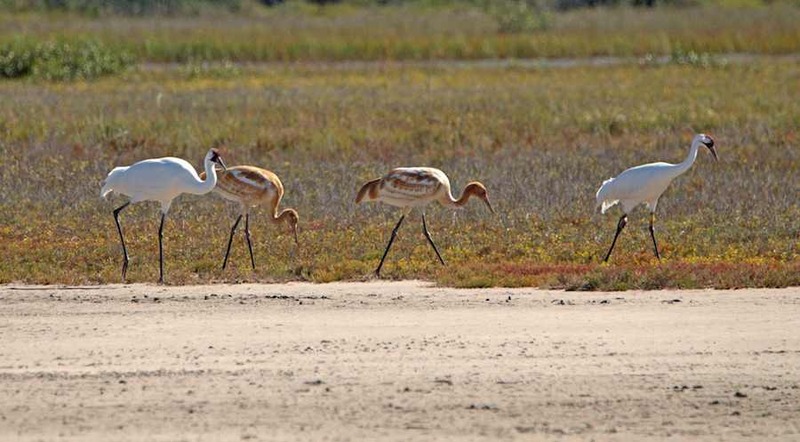 Although this whooping crane population is growing and may appear secure, long-term threats imposed by climate change and increased solar activity may jeopardize its persistence. Weather on the breeding grounds likely affects recruitment through hydrological processes and predation risk, whereas precipitation during autumn migration may influence juvenile mortality. Mitigating threats or abating climate change should occur within ≈30 years or this wild population of whooping cranes may begin declining. To read full research article, click here. Although we all hope for an increase in the population, science is not in the favor of our beloved Whooping Cranes. Last year was the hottest on record world wide, and this year is already predicted to be hotter. CO2 levels keep raising, along with methane gas, both of which will keep our planet heating up. To those who have not seen this beautiful creature in the wild, I would not wait too long if you ever hope to see a Wild Whooping Crane. Not what anyone wants to hear.